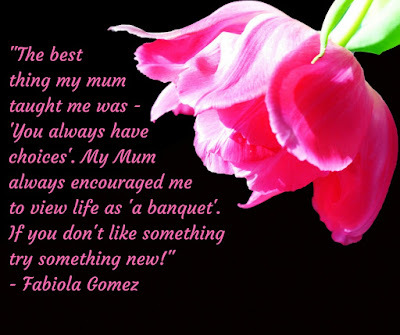 "The best thing my mum taught me was - 'You always have choices'. My Mum always encouraged me to view life as 'a banquet'. If you don't like something try something new!" Fabiola grants part of her successes to her Mother, as she would never had the courage to work within so many different industries if it wasn't for her advice. Fabiola is the founder and director of LUXit, an award winning mobile beauty and wellness app. Taking on her Mothers advice, Fabiola has lived many professional lives including running her own law firm for eight years, working with renowned fashion designers such as Camilla Franks and returning to entrepreneurship with Aysana, a tanning product. March of last year Fabiola officially launched LUXit, a web platform and app that brings beauty to your door-step. With a multitude of partners, LUXit beauty professional's travel to your destination, whether it be a home a hotel room or an office. We offer premium service, be it make up, a blow-dry, a spray tan or male grooming! Just to name a few. With Fabiola’s guidance, LUXit has very quickly established itself as a formidable industry player and a game-changer.